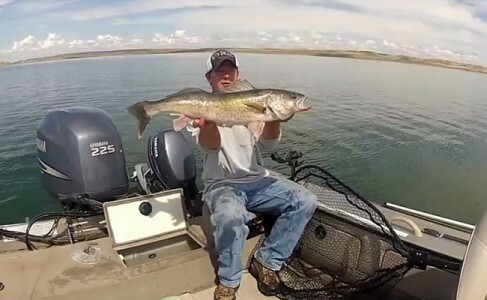 The Camp-mak-a-dream Walleye Tournament Benefit will be held August 4th, 2012 at Canyon Ferry. It is open to families, friends, grandparents and anyone ready to have a fun time. It was started by Mark Henckel, Peggy Lawver and Carol Henckel as a way to make a family friendly tournament for all to enjoy. Sign up is now and is $60 for a boat. All of the fee goes to the camp except for $10 which goes to Canyon Ferry for habitat development. The rules are very limited and include having as many people in the boat as is acceptable according to FWP rules and the ability to come and go off the water for needs. Prizes include a monetary prize for 1st through 4th largest walleye and numerous raffle prizes for young and old. Contact Peggy Lawver at (406) 855-8432 or Carol Henckel at (406) 633-2598. This benefit helps the Camp-mak-a-dream cancer camp located at Drummond, MT. The camp allows children with cancer to have a week of fun where they can be a normal child. It provides the opportunity to do things that they might never be allowed to challenge themselves to do because of the protectiveness of parents, doctors and their illness. They will be exposed to camping, fishing, climbing walls, a wheelchair pool, arts and crafts and just feeling the grass of Montana. The camp provides a doctor, nurse and the ability to continue the treatments the children may need. Siblings also have a camp for them as well. The facility is absolutely beautiful and has been built to fit the needs of these special kids.